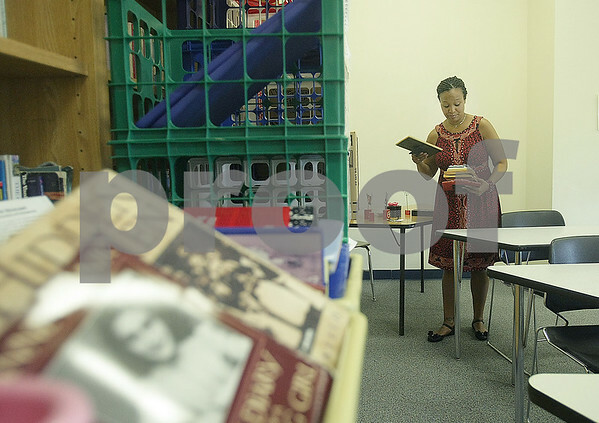 Clinton Rosette Middle School eighth grade language arts teacher Treveda Redmond unpacks boxes in her classroom in DeKalb on Wednesday, August 6, 2014. Redmond did not return to teaching last year after Thanksgiving break until the last few weeks of school because of her breast cancer diagnosis and surgeries. She's been teaching for 14 years.